Earlier today, at Mobile World Congress 2019, Sony announced four new smartphones: the high-end Xperia 1, the mid-range Xperia 10 and Xperia 10 Plus, and the lower-end Xperia L3. While all four handsets will be released in the US eventually, for now, only one of them is available for pre-order: the Xperia 10 (pictured above). 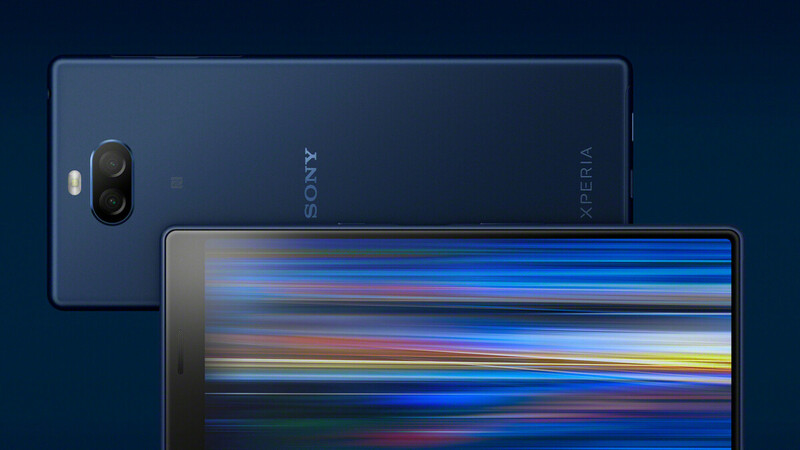 Priced at $349.99 unlocked, the Sony Xperia 10 can be pre-ordered from Best Buy, which says it'll launch the phone on March 18. The handset is fully compatible with AT&T and T-Mobile (plus prepaid brands like MetroPCS and Cricket), but it will not work on Verizon, Sprint, or US Cellular. The Xperia 10 is a very interesting mid-range phone, as it sports a super-tall 6-inch IPS display with 1080 x 2520 pixels and a 21:9 aspect ratio (not found on too many handsets today). This screen is good not just for watching movies recorded in this aspect ratio, but also for multi-tasking: there's more room when you want to use two apps simultaneously. You can take a closer look at this new Sony phone in our Xperia 10 hands-on. The price and features of Sony Xperia 10 make the device compete with the Motorola Moto G7 - another new unlocked phone that's now available for pre-order and will be launched in the US in March. Both these handsets run Android 9 Pie while offering 64 GB of expandable storage space and dual rear cameras. However, the Xperia X10 uses a Qualcomm 630 processor and 3 GB of RAM, while the Moto G7 comes with a newer and slightly better Snapdragon 632 aided by 4 GB of RAM. Other two advantages that the Motorola phone has are its lower price ($299.99) and the fact that it's compatible with all major US carriers. A full specs comparison between the Sony Xperia 10 and Motorola Moto G7 is waiting for you below.